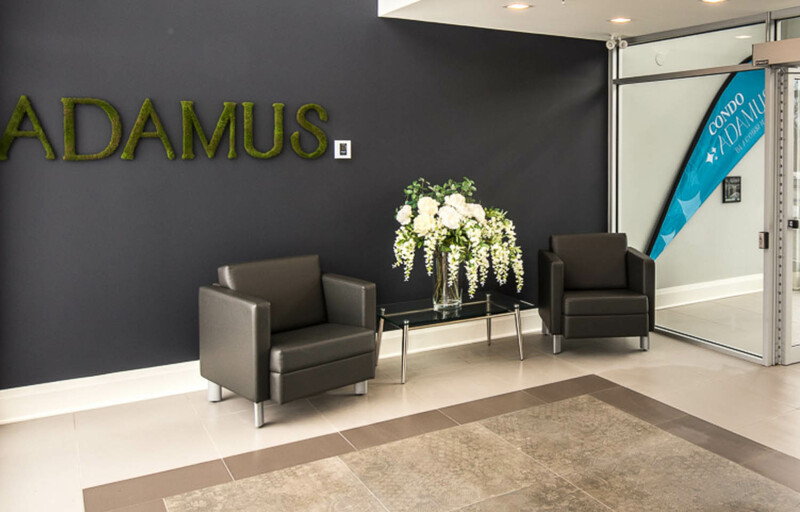 Named after the ancient Greek word for diamond, Adamus is a remarkable residential project, the only one of its kind in Beaconsfield. It features an impressive array of amenities, including a landscaped courtyard, indoor parking, a spectacular light-filled glass entrance and an elevator. Its exceptional location provides convenient access to transportation and all essential services for an outstanding quality of life. Traditional materials, such as brick and steel, and classic horizontal lines are pivotal elements of the project’s architecture, which is meant to harmonize with its surroundings and recall the gracious style of long-established West Island residences. Adamus also features a profusion of glass, most notably in its railings and stunning wraparound corner balconies, allowing an abundance of light to filter inside. Enjoy tranquil surroundings with plenty of green space in an area that is minutes away from shopping, dining and recreation activities. You’ll be in the center of a vibrant community that puts a variety of services at your disposal: a recreation center, library, medical centers, schools, swimming pools, fitness centers, and even yacht clubs. Proximity to major highways and the commuter rail transit. Adamus proposes carefully conceived layouts and quality interiors crafted with great attention to detail: highly durable flooring, quartz kitchen countertops, walk-in closets, quality windows and superior sound proofing, are just a few of the highlights. The project’s living spaces can be adapted to your individual needs, with plans designed to offer great flexibility when it comes to layouts or finishes. Because accessibility and security are always primary concerns, we’ve incorporated amenities that provide additional peace of mind, such as sprinklers and handicapped parking. Some ground floor units will even be equipped for mobility impaired living. Stay informed and be invited to our presales.